fēnix 3 is the uncompromising GPS sport watch designed for demanding athletes and outdoor adventurers. It is powered by GPS and GLONASS via the new steel EXO antenna and a brilliant colour display. 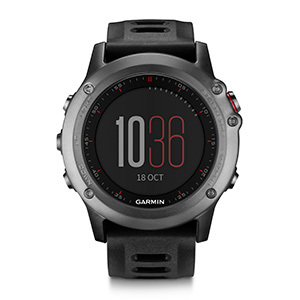 fēnix 3 comes packed with multi-sport training, trail running and navigation. It introduces a tough athletic design with quality materials and smart features like Connect IQ Apps. 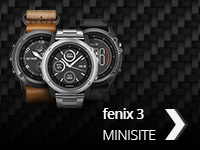 fēnix 3 is designed to assist people during their sport activities and outdoor life. It supports performance sports like running, cycling, swimming, trail running, indoor training, cross country skiing as well as triathlon and recreational activities suchas hiking, climbing and downhill skiing. It measures performance on the go, tracks activities for sharing and navigates the user back home at the end of an adventure. And it does not stop there. The new Connect IQ App support for fēnix 3 opens up the potential to develop many more functions and for all sorts of activities in the near future. 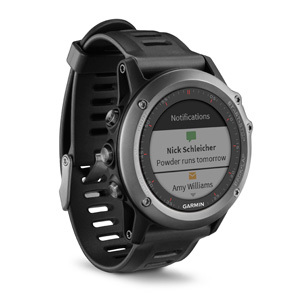 fēnix 3 is packed with cutting edge training features from Garmin. When used with a heart rate monitor (included in the Performer Bundle) it can give you stats about your form and fitness. The first is VO2 Max which gives you an estimation of your actual fitness based on your performance and heart rate data. 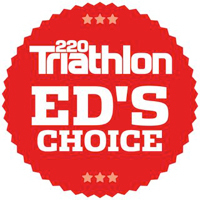 The fēnix 3 is even able to make a prediction on your race time based on your VO2 Max value. After your training the recovery advisor tells you how much time you need to recover from your last activity¹. fēnix 3 incorporates sophisticated sensor feedback on your running form to provide multiple advanced running metrics. 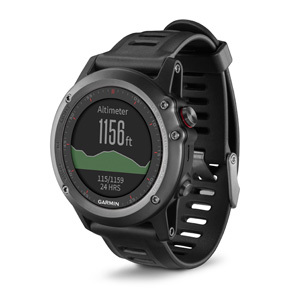 When used with the HRM-run monitor¹ (included in the performer bundle), fēnix 3 reports your cadence, vertical oscillation and ground contact time otherwise knows as Running Dynamics. These metrics show your running efficiency – something you can use to improve your performance over time. 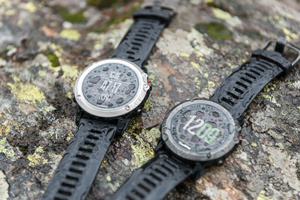 To address the specific needs of trail runners, fēnix 3 provides a dedicated trail profile. New features include the automatic switch for core data presentation during flat running vs. climbing sequences and more climbing-relevant data such as ascent performance split for laps and vertical speed. 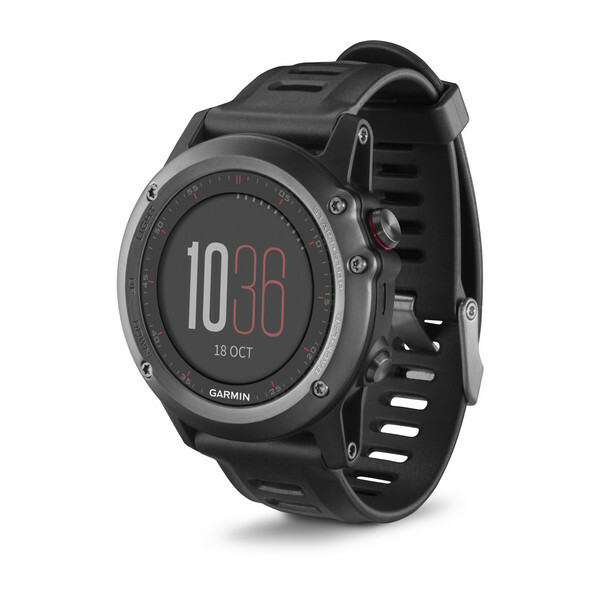 For Ultra Trail runners fēnix 3 secures additional battery life in UltraTrac* mode and the option to run the watch with external power supply for the big challenge. fēnix 3 is compatible with sensors such as speed, cadence and heart rate to provide advanced training capabilities for your cycling workouts. It can also display power metrics when paired with ANT+ power meters, including the Vector line of single and dual-sensing pedal options. If you train with a heart rate monitor and power meter, fēnix 3 can derive your VO2 max estimate for cycling to help monitor changes in your fitness. 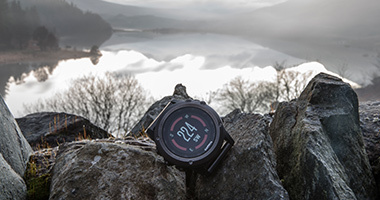 fēnix 3 is really smart and keeps you in touch with the world – be it through your smart phone to receive Smart Notifications directly on the watch², or through your WiFi hotspot for seamless automatic activity upload to Garmin Connect™. If you want to, fēnix 3 even keeps family and friends informed about your whereabouts through LiveTrack². 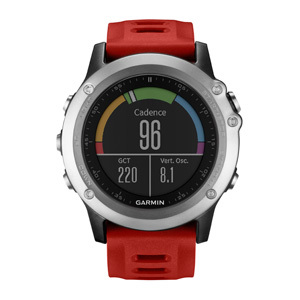 Get even more information from fēnix 3 by combining it with one of the many optional Garmin ANT+ sensors like Vector® for cycling power, tempe™ for temperature, HRM-run for running dynamics and heart rate and many more. coverage list. iPhone is a trademark of Apple Inc. Android is a trademark of Google Inc.